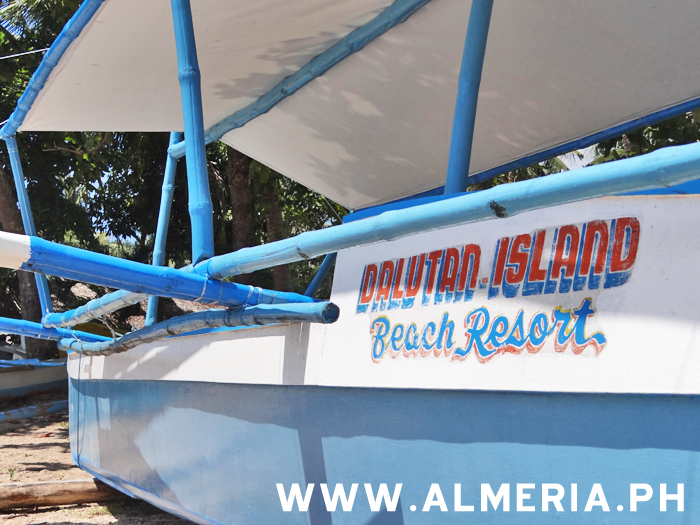 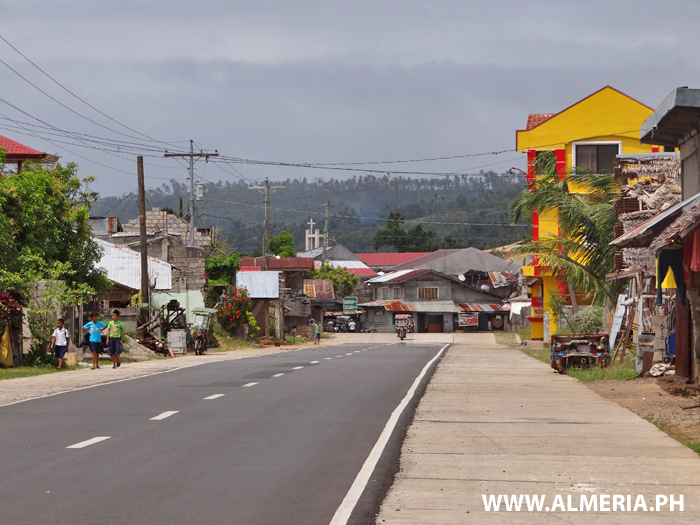 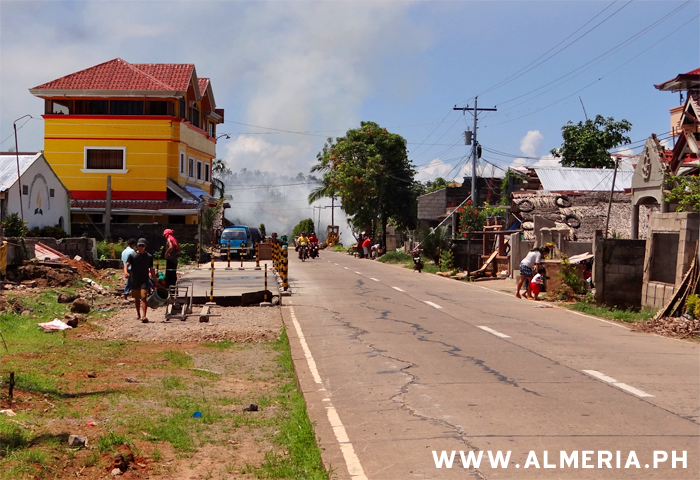 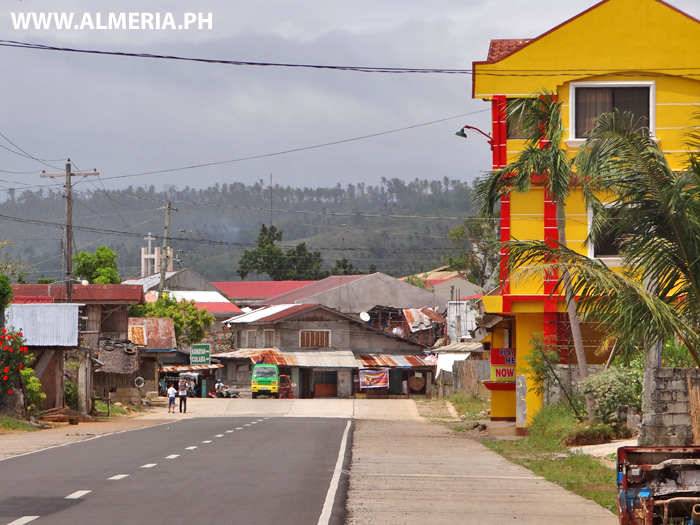 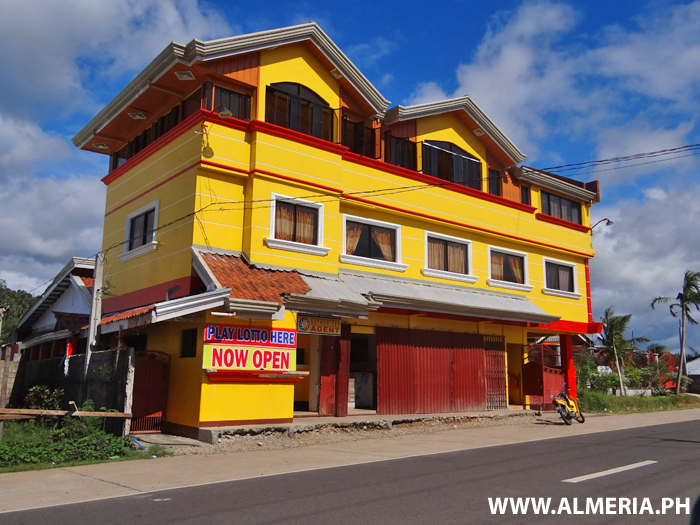 Very large road widening project in Almeria town, Biliran Province. 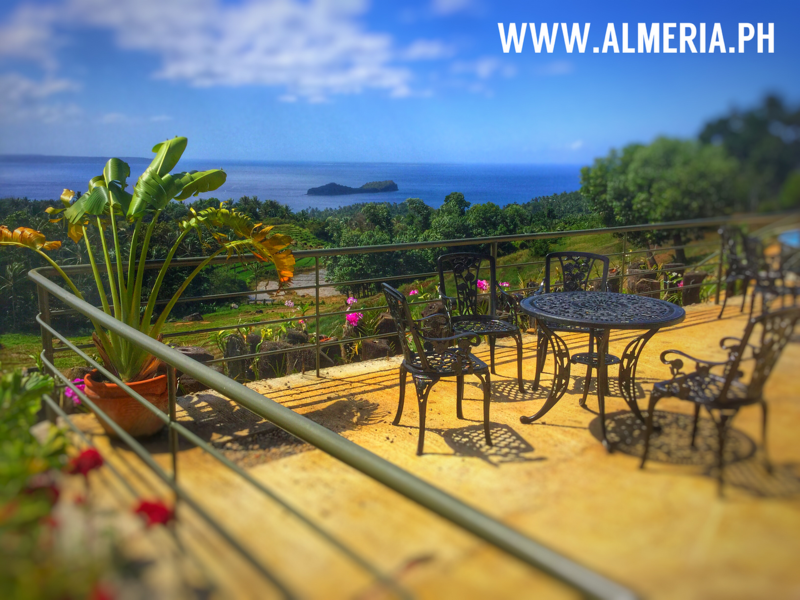 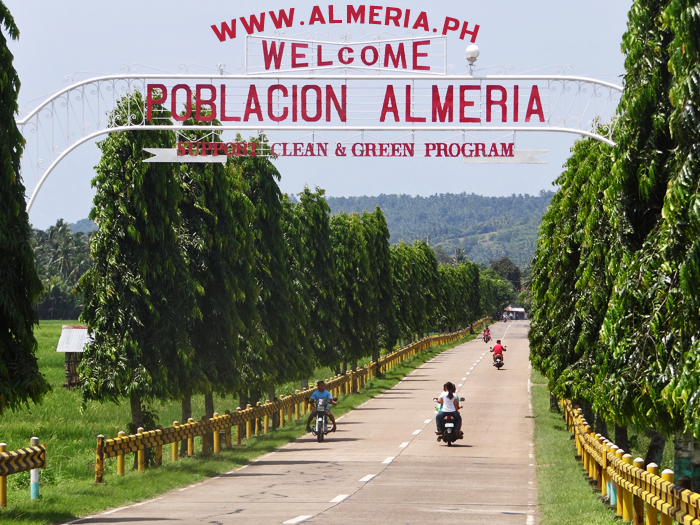 Do you think the Road Widening into Almeria will benefit the town? 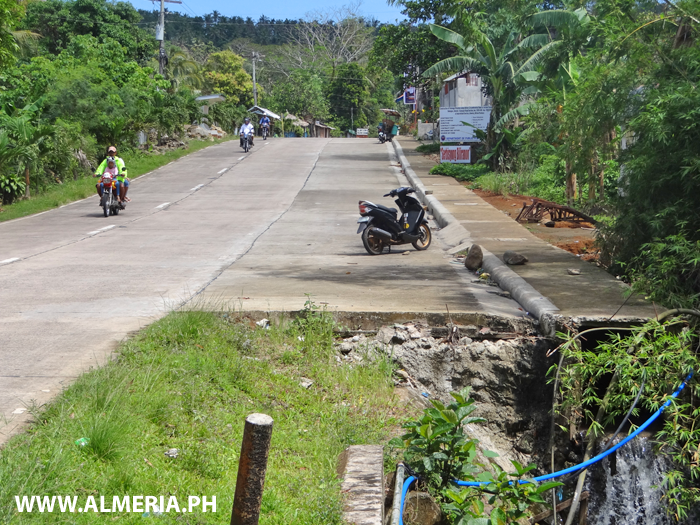 Unfinished road widening in Tabunan, Almeria has left a massive and very dangerous hole in the side of the highway. 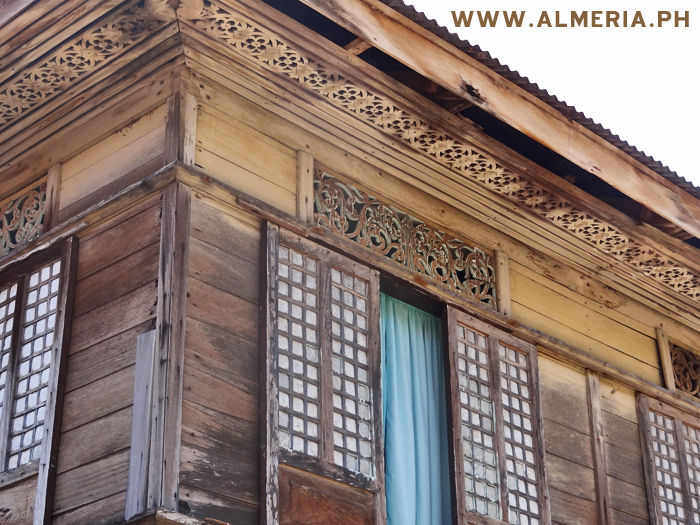 The road widening in Almeria Town caused many building to be demolished, but here it has revealed a beautiful old build that was previously hidden. 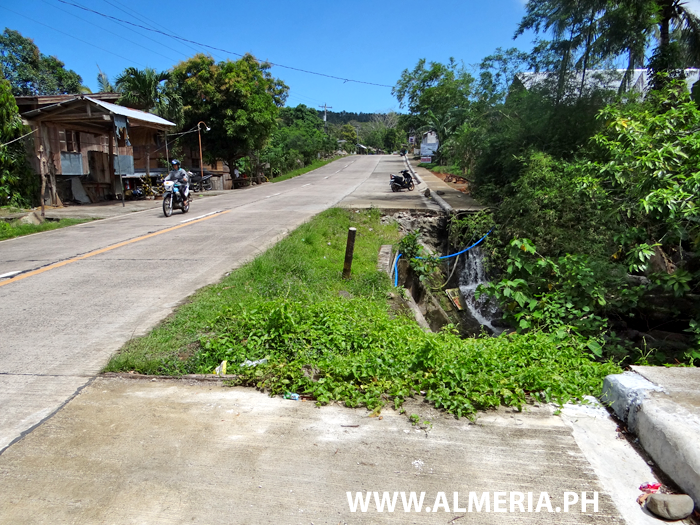 Large building that dominates the entrance to Almeria Town, but still suffered a loss to its frontage when the highway was recently widened. 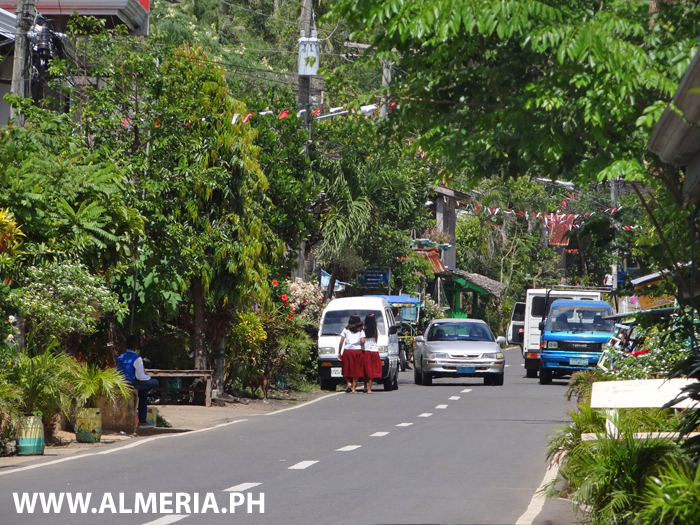 Look at all the beautiful trees and plants that might be lost in Almeria Town if the road is widened. 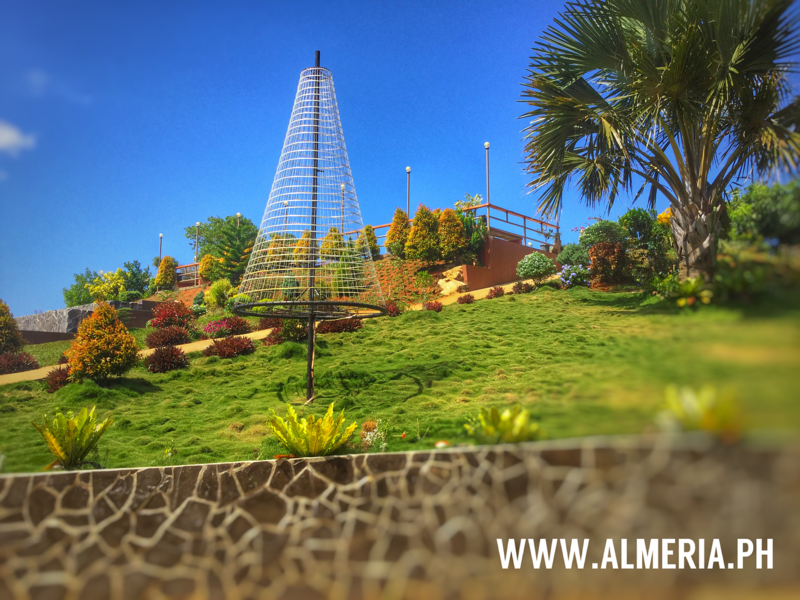 Will Almeria Town loose it famous avenue of trees if the road widening is extended. 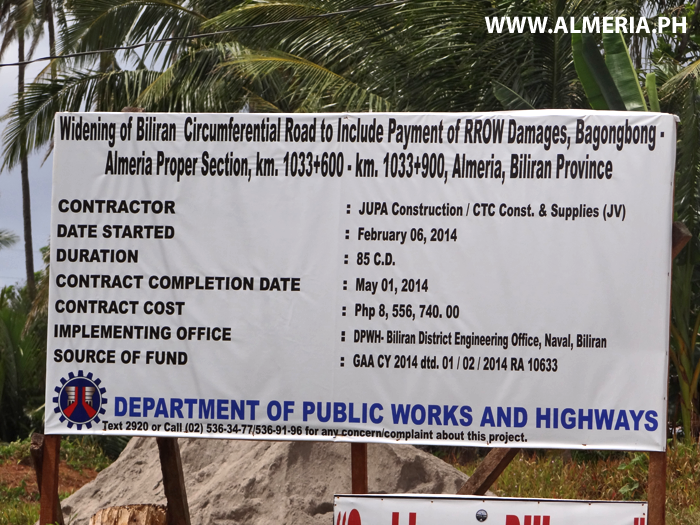 Widening of the Biliran Circumferential Road in Almeria, Biliran Province. 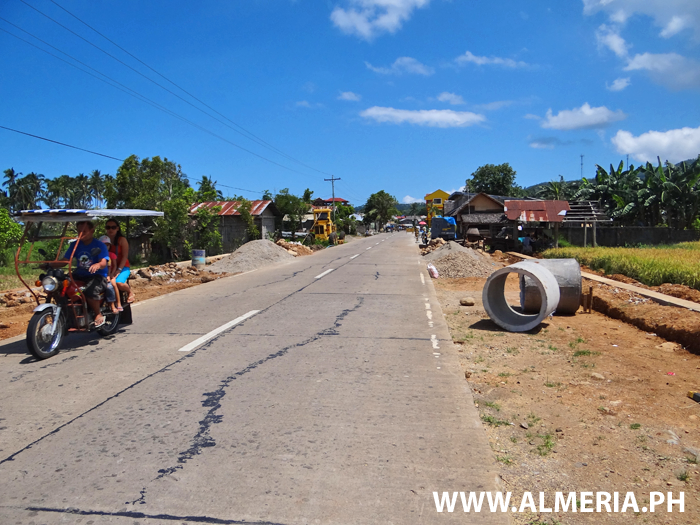 The widened highway going into Almeria Town, Biliran Province. 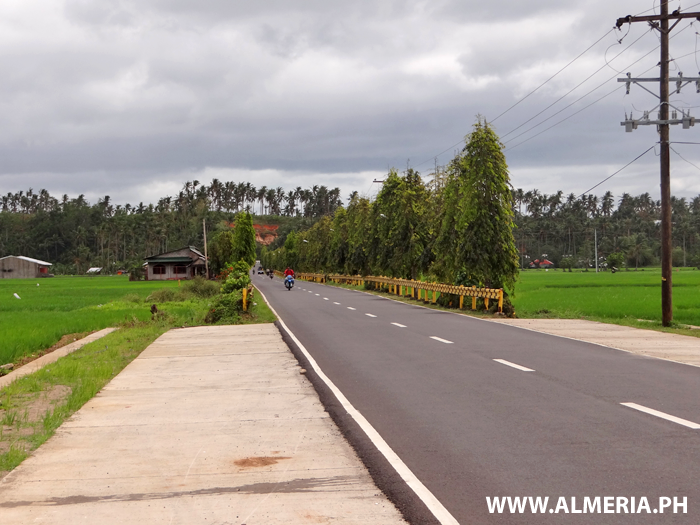 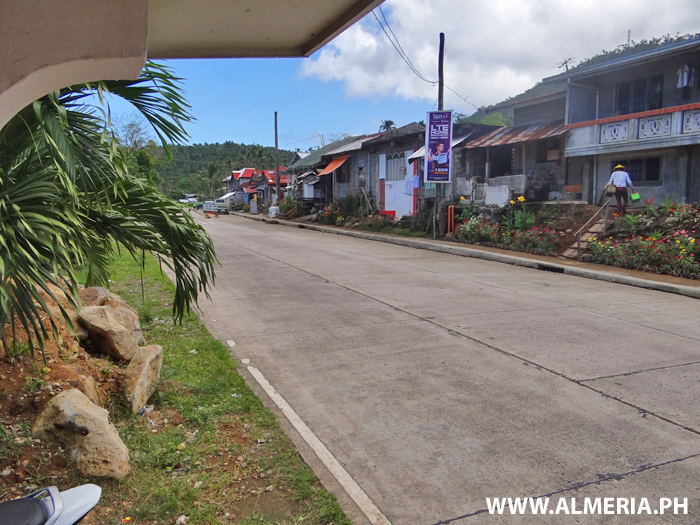 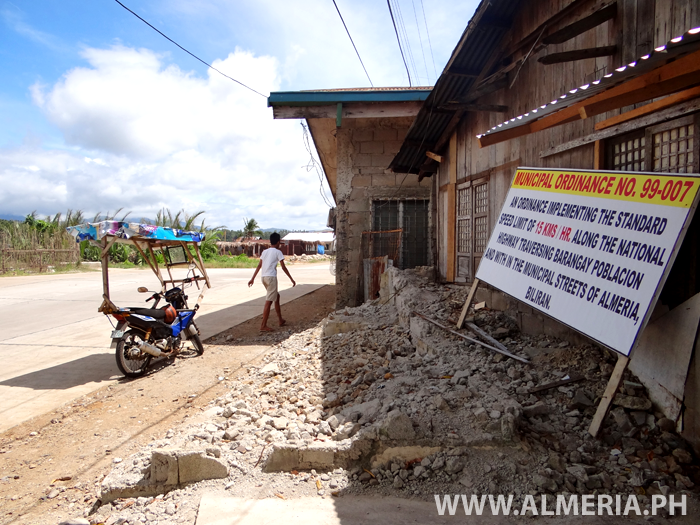 Road widening along the Biliran Circumferential Road in Tabunan, Almeria, Biliran Province. 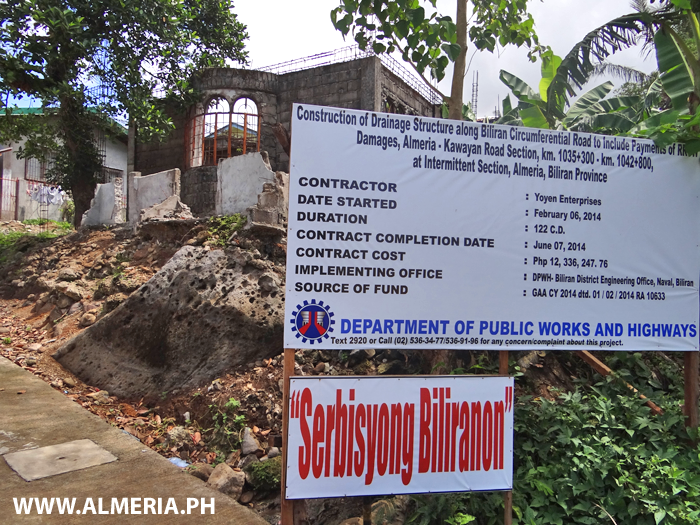 Road Widening and Drainage work in Tabunan, Almeria, Biliran Province. 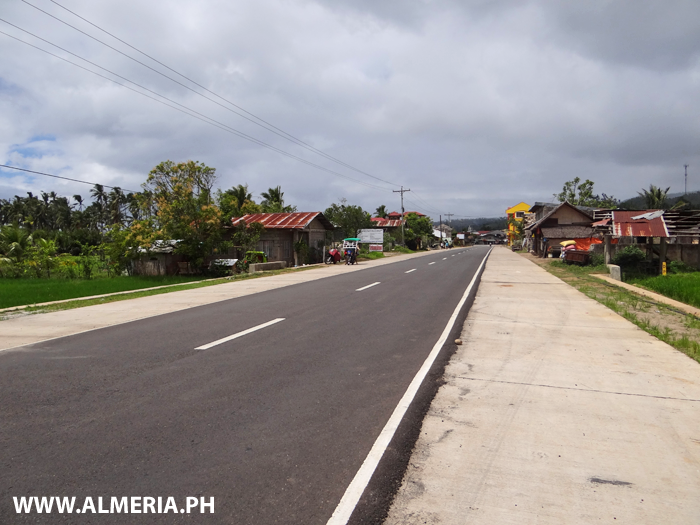 The new widened highway in Tabunan, Almeria, Biliran Province.